Sitting under a shaded hut at a local hotel on a recent weekday, Agnes Reeves Bryant opened up to FrontPage Africa about what the past few months have been like for her and her family. 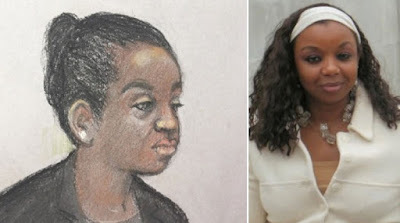 Her sister, Agnes Reeves Taylor, a former wife to former Liberian President Charles Taylor was picked up last June from her home in Dagenham, East London and arrested by the Metropolitan Police War Crimes Unit and charged the following day with one accusations of conspiracy to torture and three accusations of infliction of severe pain or suffering in the performance of official duties. The charges referred to facts occurred between 23 December 1989 and 1 January 1991. On June 3, 2017, just two days after her arrest, Dr. Reeves-Taylor appeared before the Westminster’s Magistrate Court and her bail application was denied. She remains in custody. A preliminary hearing was held on 30 June 2017 before the Westminster Magistrate Court and on August 11, 2017, the tribunal refused to grant her a provisional release. “It’s been hard for all of us especially her children, who now have both parents locked up in prison,” Mrs. Reeves-Bryant lamented in an interview with FrontPageAfrica. A little over eight months on, her sister, Mrs. Reeves-Bryant argues that even though her sister Agnes was never flagged as a person of interest in the Liberian Truth and Reconciliation Commission’s testimonies or its final report 2009, she is now being accused and charged by the UK authorities on allegations she says has been put together by Bility and his band of witnesses of heinous crimes allegedly committed in 1990 when even Agnes’s own county has never accused her of any such crimes. Mr. Bility, who is the Executive Director of the Global Justice and Research Project when contacted by FrontPageAfrica said the GJRP could not comment on ongoing investigations. “However, the United Kingdom is a State with rule of law where nobody is arrested without proper investigations and all those accused of crimes have a right to a lawyer and due process. Bility also added that "The court room is the right place where these kinds of allegations should be made, not in newspapers, on radio or online petition". Mrs. Reeves-Bryant says Investigations carried out by experts and lawyers representing her sister discovered that Mr. Bility resulted to bribery and coercion to procure witnesses against my sister in Liberia. She also took aim at Mr. Alan White, a former Chief of Investigations with the Special Court in Sierra Leone who she describes as an extortionist attached to Civitas Maxima that brought the unsubstantiated charges against her sister. “He was here in Liberia for months trying to interfere in the election process by attempting to persuade voters to cast their ballots for the candidate he favoured – completely illegal under international law." "During his time in Liberia, the tried to impress on Liberians that he was acting on behalf of the United States and other western governments – the biggest of all lies." Reeves-Bryant says Werner, the head of Civitas Maximas should have known better. “As a renowned international lawyer, he should have been able to see behind the lies and thrown out the evidence advanced by Bility. Born on September 27, 1965 in Liberia, Agnes married Taylor, who was then a former director of Liberia’s General Service Administration, in Ghana. In that period, Charles Taylor formed of the National Patriotic Front of Liberia (NPFL), a militia group whose aim was to oust Liberia’s at the time president Samuel Doe from power. In 1989, the NPFL invaded Liberia triggering a brutal civil war in which more than 150000 died and half of the population became refugees. Between 1989 and 1991, many Liberian civilians of certain ethnic groups and soldiers of the Liberian armed forces were subjected to extreme violence and killed in the counties of Nimba and Bong. Taylor’s arrest is the fourth case based on universal jurisdiction in the UK and the first case concerning crimes allegedly committed in Africa. Liberia did not prosecute any individuals for crimes committed during the civil war and no one has been prosecuted in the post-war nation for crimes committed during the war. For Reeves-Bryant, life for the family has been a living hell with authorities in Britain making it extremely difficult for visitors to see the imprisoned former wife of former President Taylor. “Only since September 2017 after writing several letters of complaints to the UK authorities and alerting my local MP, I and my sister’s younger daughter were allowed visitations. Under UK law, a prisoner on remand is allowed visitors after 31 days. Looking back at the moments after the arrest, Reeves-Bryant says it was a shocking experience for everyone. Reeves-Bryant explained that the family expected the UK authorities to investigate the allegations before issuing an arrest warrant. Despite the high-profile arrest and the cloud of uncertainty over Dr. Reeves’ fate, her sister says, she has taken the lead in alerting the highest UK authorities and international organizations, the Liberian government, ECOWAS and the African Union about what she believes is the travesty of justice. She says she recently penned a letter to President George Manneh Weah and Vice President Howard Taylor asking for their urgent intervention and verification that Agnes is not a person of interest wanted in connection with any alleged war crimes in Liberia. But to date she has not received any reply. She says she penned a similar letter last August to former President Ellen Johnson-Sirleaf without results. “I also wrote a similar letter to former President Ellen Johnson Sirleaf asking her intervention as well but received no acknowledgement or reply to my letter." "My sister is totally innocent and suffering unduly for allegations of crimes she never committed or would condone all based on lies advanced by Mr. Bility to further his own financial gain and revenge agenda. Amid the hurdles, Reeves-Bryant says she is not happy about the way the case is proceeding against her sister. “I am totally unhappy with the way in which the case is proceeding. My sister, Dr. Reeves Taylor has been denied bail twice even though her defense met all the requirements for bail both times. She argues that her sister who has never had a single parking violation in her life, is being treated like a terrorist. Reeves-Bryant insists that her sister’s rights as a prisoner on remand are being further violated by endurances of poor and strict prison regime with little access to support services. “Central to her right is the principle of presumption of innocence that carries with it international standards on the treatment of remain prisoners in the UK legal system, the Prison Standing Orders and the Prison Service Instructions." She accused the British justice system of being bias against her sister, partly due to the sins of her former husband. For the foreseeable future, Reeves-Bryant says, Liberians and the international community need to move past the wary. “It’s been almost 30 years since the Liberian civil war, yet the witch-hunting continues. It’s time to reconcile and rebuild the country. Other countries have had civil conflicts and moved on to become great nations." "Liberia should follow their example. The persecution and witch-hunting of one group of people must end now or Liberia will forever remain under developed and stuck in the pass."